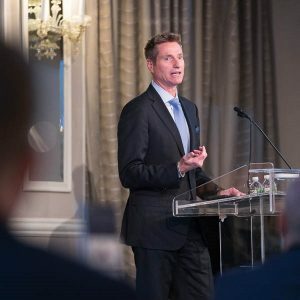 The 24th Annual REIT Symposium, hosted by the NYU School of Professional Studies NYUSPS Schack Institute of Real Estate, began with a keynote address from American Tower Corporation’s James Taiclet, during which he discussed the intersection of REITs, real estate, and technology. Recognizing the importance of the REIT tech revolution, Taiclet shared his thoughts on opportunities for industry leaders to enhance the value and attractiveness of their real estate with 5G by using data and analytics to utilize smart building management, optimize connectivity, and make systems more efficient. The first panel of the day featured a lineup of top real estate executives who shared their thoughts on long-term strategies in changing times and the future of M&A activity within their industries. Panelists discussed their company’s most important strategic focus and how to think long-term about private markets, scale, and consolidation. 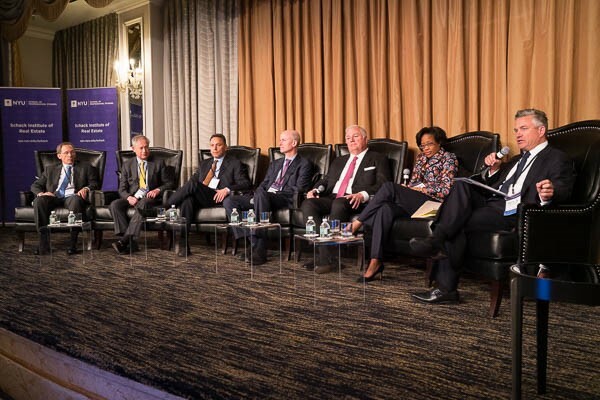 The candid discussion also focused on the drivers of M&A and the importance of cash flow, and each panelist shared lessons learned from challenging decisions they have made as leaders. 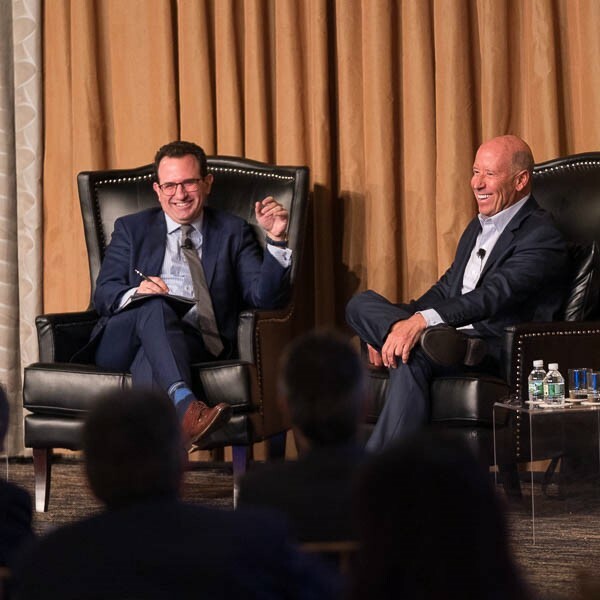 The conference also featured a lively conversation between Michael J. Bilerman of Citi and Barry Sternlicht of Starwood Capital Group, during which Sternlicht shared his expert perspective on global investment strategies and innovation in the hotel space. In addition to discussing investment opportunities for growth in Europe, Sternlicht shared his thoughts on the future of the US office market. He also noted that Starwood Capital Group is focused on transformation in the hotel industry. During the conference luncheon, Sam Zell, chairman of Equity Group Investments, spoke with Adam O. Emmerich of Wachtell, Lipton, Rosen & Katz about the current state of the REIT market and his outlook for the industry. 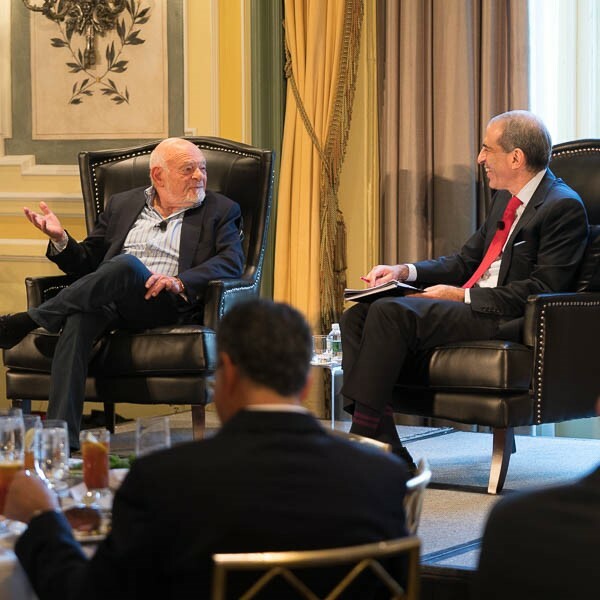 Following a conversation on the US economy, interest rates and real estate market supply, Zell shared his thoughts on advancements in technology and its effects on the retail industry. The two also discussed the importance of timing for investing in emerging markets and the rise of passive ownership in the REIT world. 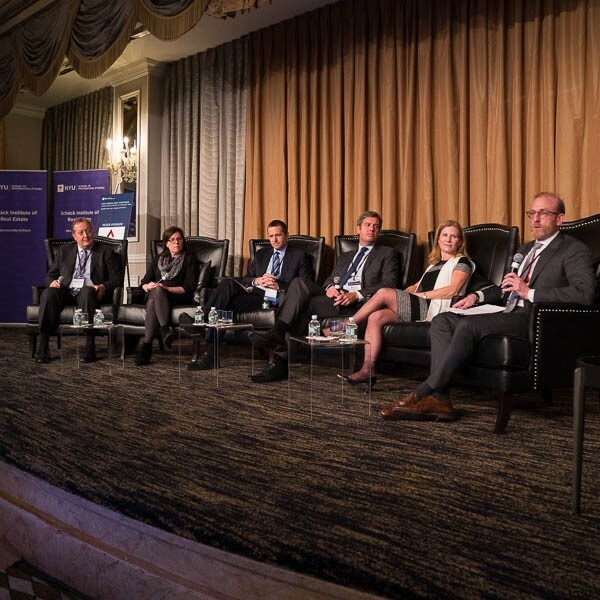 During a discussion titled, “Investment Opportunities: Finding Hidden Treasure in Real Estate and REITs,” an all-star panel of experts discussed how to stand out and be more strategic as the real estate market becomes increasingly more competitive. Panelists shared thoughts on the importance of being creative and building strong relationships with partners. 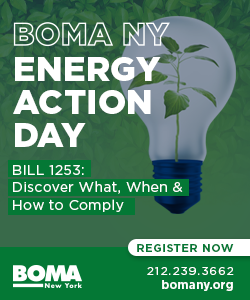 They also offered perspectives on the effects of activism on investments, the evaluation of new assets, and how data and technology affect the search for new opportunities.